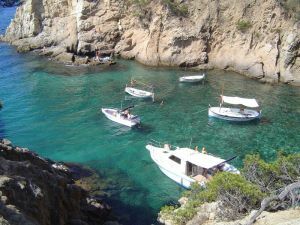 Costa Brava holidays invariably means a huge choice in holiday accommodation and the inevitable, anxious feelings of, “How will I know what it’s like?” Large, impersonal hotels, poorly serviced self-catering accommodation can leave you feeling frustrated and angry. Come with us as we review one Costa Brava holiday we know you will love, as we show you 10 best things to enjoy at TorreMirona Golf & Spa Resort, Costa Brava. TorreMirona Golf & Spa Resort is an exclusive holiday destination situated to the west of Figueres in the Empordà region of the Costa Brava. With its famed rugged coastline 20 minutes away, natural beauty of the Aigüamolls de L’Empordà wetlands and the magnificence of the Pyrenees Mountains, this is the ultimate Spanish vacation spot. Here in no particular order are 10 of the best things to do whilst staying at TorreMirona Golf & Spa Resort. 1. Relax and unwind on your terrace in the privacy of the garden with a complimentary bottle of Cava in an ice bucket beside you and listen to the song of the swallows on the wing in the setting sun. The tranquil and serene surroundings will have you chilled out in moments, allowing you to start your vacation the instance you arrive. 2. Enjoy a round of golf on the picturesque course at TorreMirona Golf and get 15% discount off your round by staying at the resort in either Villa Amora or Vila Birdie apartments. 15 % discount is also given on TorreMirona’s sister course, Golf d’Aro. 3. Spend a pleasurable evening dining in El Canigo Restaurant at the resort’s luxury hotel. Indulge your tastebuds in the sumptuous Catalan and Mediterranean cuisine, whilst your eyes feast on the stunning views across the golf course towards those impressive Pyrenees mountains. Even better, when you stay on the resort, no worrying about taxis to take you home! A short walk in the warm, balmy evening air will have you arriving at your front door in no time. 4. Hire a bicycle and explore the countryside and medieval villages that abound in this region. Besalu is one such village with a magnificent bridge crossing the River Fluvia. 5. Unwind at the spa. TorreMirona Golf & Spa Resort boasts a state of the art spa facility based on holistic philosophies. Relax and recharge your batteries far from the stress and tension of everyday life in an unparalleled, peaceful environment. 6. Play some tennis. Courts can be hired for an hour at a time or for better value become a member of the sports club. 7. Grab a bucket of balls and practise your swing at the golf driving range. If your golf needs some rehearsal, spend some time perfecting your putting and fine-tune your game before hitting the fairways on the 3 practice holes. 8. Swim in the crystal clear waters of the large swimming pool below the terrace of your home-from-home holiday villa. A private shared pool, available to the residents of the horseshoe of homes on Golf Royal, the pool is set in beautifully landscaped gardens a few steps from the end of your garden. Enjoy the views, space and peace a few steps from your villa. 9. Partake of a “Menu del Dia” at the superb restaurant at the Sports Club. Terrific value for money in attractive surroundings over-looking the large outdoor pool of the sports club, you won’t be disappointed. 10. Work up a sweat in the state-of-the-art gym. Perfect for making room for all that gourmet food! I invite you to use these tips to plan your own trip to TorreMirona Golf & Spa Resort and to making the most of your holiday on the Costa Brava.